I am wondering if anyone can advise when the manual override button located on the Rudder Boost Diverter Valve would be used? We have imagery but no actual technical notes advising of what the intent of the button is other than a manual override. We are guessing it is in case the hydraulic pressure does not change when the flaps are raised/lowered beyond 15% but we are not 100% certain. This is on a C-130J but was also used on the H and E models. Thanking for any assistance in advance. Pretty much just used to help troubleshoot. Crew would never lay in the door and hold that button until they land unless there was something serious going on. Pressing the manual override forces valve to act as if it was energized. Pressing manual override valve is same as flaps extended past 15% (+/-5%). 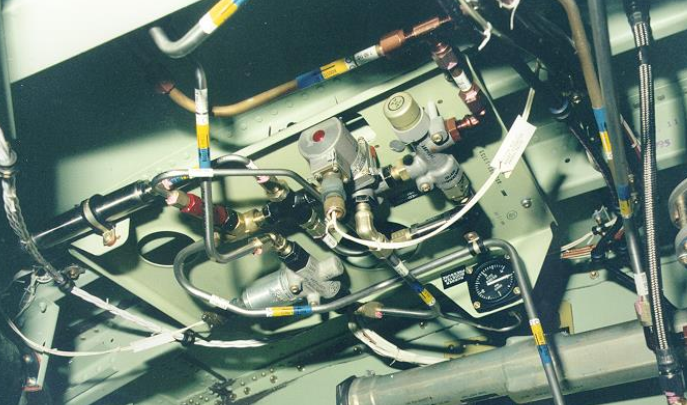 It's located on the Rudder Hydraulic Boost Panel at the aft of the cargo compartment - roughly FS 1020. Red Button on the front of the valve.